How can I complain about an optician? If you've received poor quality products or service from your optician, the first step in seeking resolution is to complain to the practitioner. If you have a problem with your glasses, or are unhappy with the quality of an eye test, the first step is to speak to your optician or their practice manager. It's likely that they’ll be able to resolve the issue then and there. Failing this, you may wish to follow the formal complaints procedure. All optometrists are obliged to provide a formal complaints procedure. If you’re glasses are faulty, for example the frame is broken, you can use our template letter to ask for a refund. Contact the Optical Consumer Complaints Service (OCCS) with your complaint. The OCCS is an independent body set up to help settle patients' complaints about opticians. They offer mediation if your eye test or glasses were of poor quality or not fit for purpose. If your issue still hasn’t been resolved, you can refer your complaint to the Health Service Ombudsman. The ombudsman will look at all complaints, but can only act when administrative or service failures have occurred. 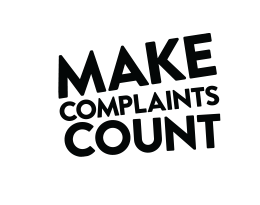 Generally, the health service ombudsman will not look into your complaint if it happened more than 12 months ago so make sure you make a timely complaint. If you’re seriously concerned about the quality of the service and believe that your optician is not fit or safe to be working, you may wish to report them to the General Optical Council. The General Optical Council is the professional regulator who can investigate and act if they suspect that an optician may not be fit to practice.